Ikea has released a new idea for a futuristic looking village which could help homes in the future to make the most of renewable energy. The prototype shows a village made from wood using a microgrid system to join the houses together to enable the sharing of excess power. The theory is that all the houses in the village will be connected to each other to enable them to sell any excess energy they produce to others within the village. The village has been given the name SolarVille and gives us an insight into eco villages of the future. The main principle of the village is to lower energy consumption and generate power via solar panels, and the blockchain technology enables the village to have a system of buying and selling the excess. Ikea has its own climate change goals, reducing its carbon footprint in all its stores, its aim being to reduce emissions from its stores by 80% by 2030. Along with planning to only use recycled materials and use only renewables, Ikea’s climate positive goals are just part of their future plans for a greener future. Blockchain has been said to be a ‘digital leader’ in future renewable technology, it still needs some work to ensure its reliability. The main purpose of blockchain is to create an audit trail for transactions. It uses online currency such as bitcoin to keep a record of transactions made in digital information. 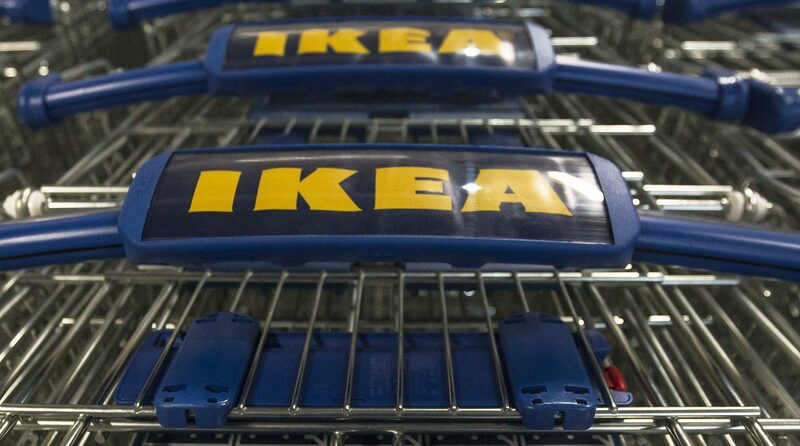 Ikea and other businesses plan to, or already use this technology. Blockchain, in the case of Ikea’s Solar Ville will make the selling of excess power between homes quick and easy and will keep a digital record of every transaction. The wooden model is a working model that shows how the wooden houses would work in harmony with each other, producing and sharing the electricity made. The model has small led lights installed to signify the power being traded within the community as it would be using blockchain. The main way of power production would be from solar panels but the whole village’s philosophy would be to lower and decarbonise energy consumption. Said Space10 (Ikea’s research lab).